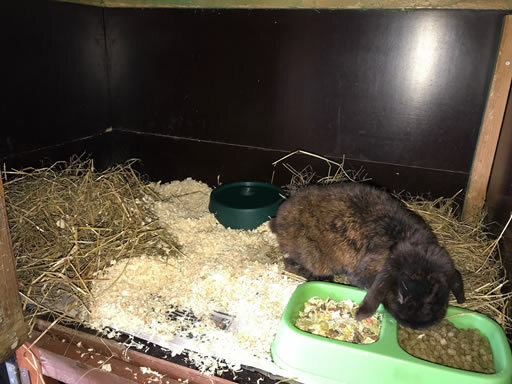 At Foxholes, we have a seperate small outdoor shed to house small pets in whilst you are away from home. A fully enclosed area allows for your pets to stop inside or outside depending on your preference. 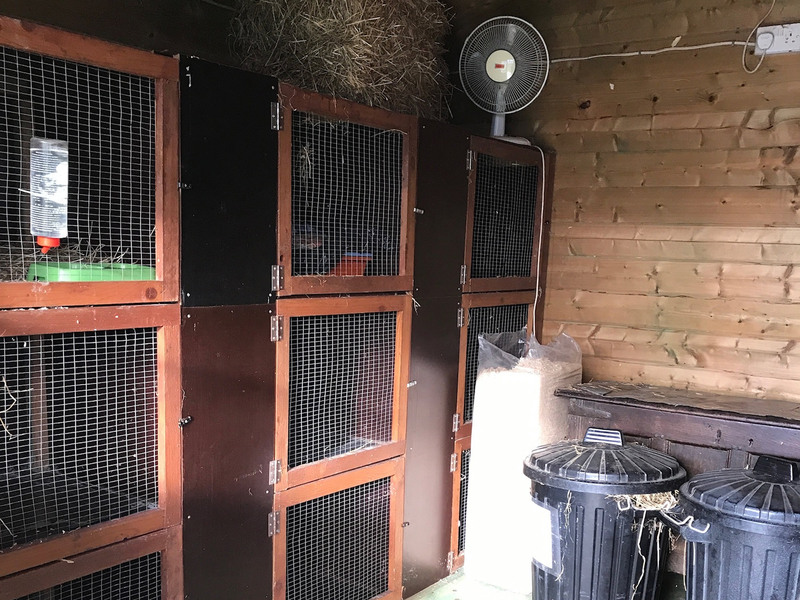 All small pets are housed away from our dog kennels; ensuring no barking will cause distress to your pets. 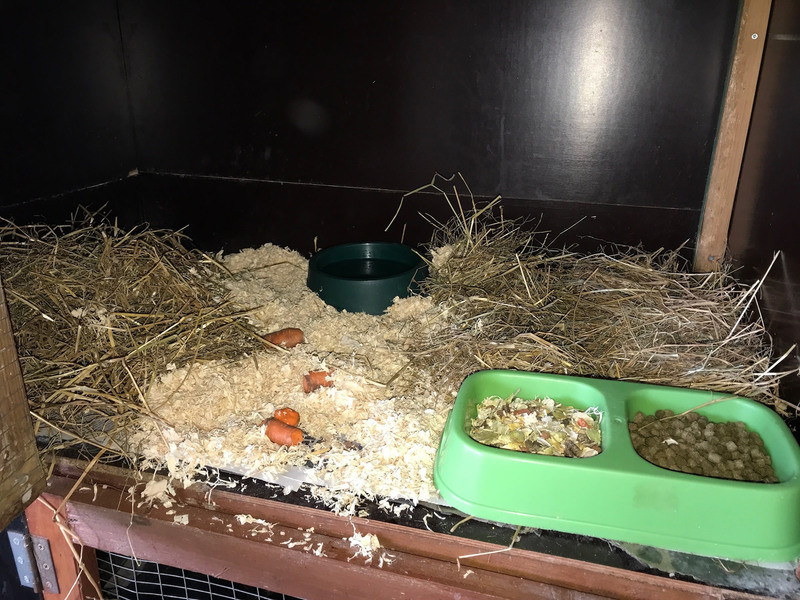 All small pets are provided with a choice of hay, straw and woodshavings for bedding (whichever you prefer) to ensure they feel at home. We provide hook on water bottles or plastic drinking bowls as well as a variety of different foods to suit your needs. Throughout the day your pets are checked regularly to give them comfort and a familiar face while you are away. Every pen in cleaned out thourghly on a daily basis to ensure your pets stay clean during their time with us. We provide fresh fruit and vegetables for your pets to ensure a balanced diet alongside their dry food. 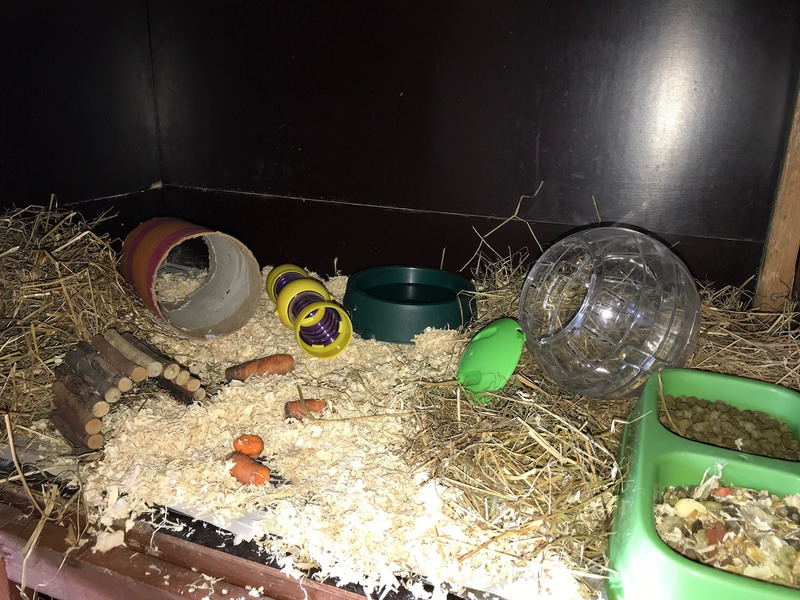 Take a look at a small selection of photos of our small pet facilities, allowing you to see how happy our guests are when they stop at Foxholes. See our gallery page for even more photos.